You know why I moved to Austin? Well, that's a complicated answer but this Saturday night is a great example of what you're missing if you don't live here. Tomorrow night we have: Girl Talk, L.A.X., Yeasayer, Vampire Weekend, and Elton John all performing at different venues around the city. How do you like that for a spectrum of respectable artists throughout various genres? Eh? Eh? The down-side to this is, which show do you choose? Do you like how I threw L.A.X. in there with all of those brand-name bands above the break? Well, in case you're not in on the joke L.A.X. is a little Austin band that are just making ripples in the scene so far but I really enjoy them. I saw them perform at the Blue Stage during FunFunFun Fest this year and they put on a great show. They also expanded both in their sound and their numbers within the last few years and they seem to be picking up steam. I see the possibility for big things in their future if they meet the right people and/or hit the right eyes and ears. Let them hit your eyes and ears, at the LXM Pro party with Bright Light Social Hour. 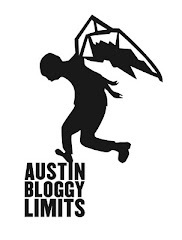 Enter the code "ATXBLOG" to get your ticket for almost half price. I feel like Elton John doesn't really need any attention from me or my readers, I recognize that he is an icon and we're moving on. What is there to say about Girl Talk that hasn't been said before? I'll just sum up the Girl Talk experience in three simple words: sweaty, laptop, party. Might I add that Vampire Weekend and Elton John are the two artists in this post who are NOT FunFunFun Fest alumna. I don't know who deserves the praise in this scenario but I feel like hands should be shakin' upon this realization. If you're hearing the above VW song for the first time thinking WTF happened to their sound?!?! I should clue you into what its members were doing between albums in their off-time.